The tap is turned on and water comes spraying out. The water is allowed to run until it becomes a tolerable temperature. Even still, there is no rush to step into the shower. Once inside, there is no time limit to cleanse oneself. Now, imagine turning on the tap and waiting for the water to come. But it doesn’t. Brushing your teeth, taking a shower, cooking, cleaning, and simply drinking one of life’s necessities is now an inconvenience if even accessible at all. In 2014, the six reservoirs in the area — which can hold up to 230 billion gallons of water — were full, but three years of drought, coupled with overdevelopment, population growth, and climate change, quickly dried up the supply. According to NASA data, reservoirs are at 26 percent capacity with Theewaterskloof Dam, the city’s main water supplier, in the worst shape. City officials will turn off the taps when the reservoirs reach 13.5 percent. 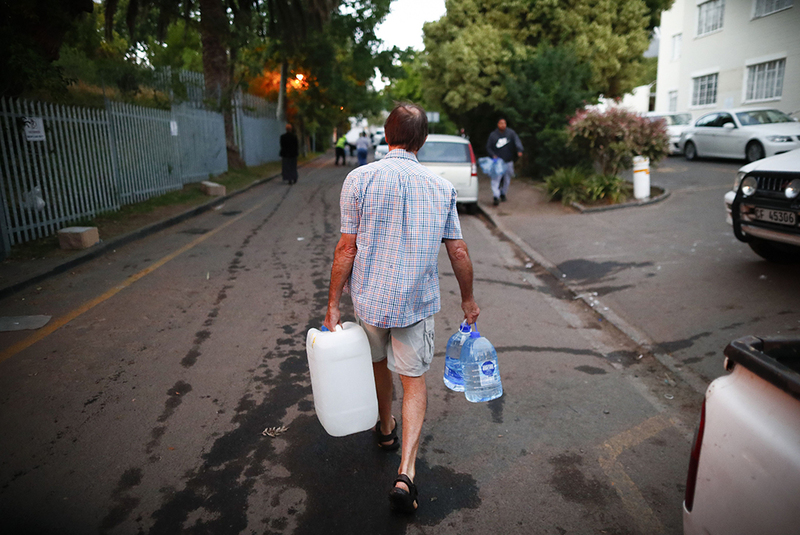 Sanctions regarding water consumption have been enacted in Cape Town. Officials, who are making plans to store emergency water at military installations, say using taps to fill pools, water gardens, or wash cars is now illegal. The city has urged residents to limit their water consumption to 50 liters (approximately 13 gallons) per day — less than one-sixth of what the average American uses. Van Dyk, who was born, raised, and still resides in the Western Cape, said he and his family take 90-second showers, do laundry once per week, and use paper plates on the weekends to cut down on dirty dishes. They are unable to tend to their garden or lawn. 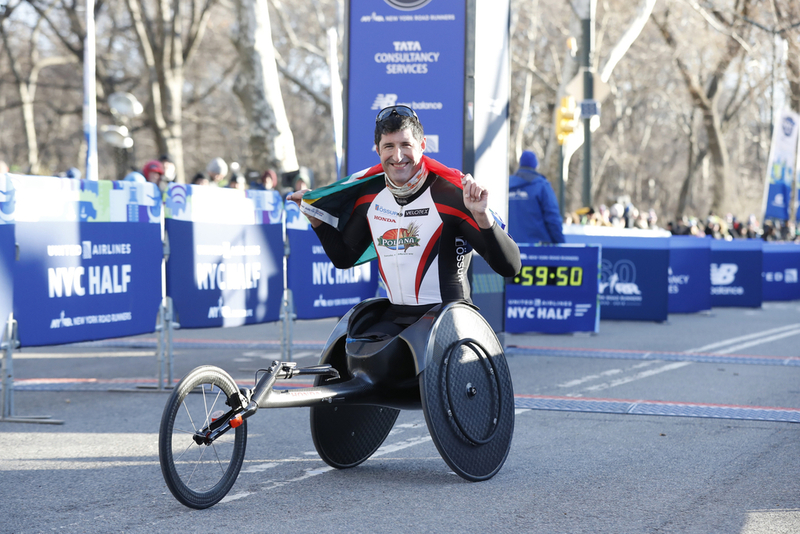 Van Dyk, who won his record-setting fourth consecutive NYC Half Marathon men’s wheelchair division title in March, has had to sell his koi, a collection he’s been building over the past 12 years, including many fish he’s hand selected personally in Japan. The covered pond now serves as a backup water supply. Same goes for the pool, which remains covered to prevent evaporation. The family has even decided to sell their current house and will be investing in building a new house that can recycle water and will be as green as possible. “Everybody in the Western Cape has had to relook at how we use water,” van Dyk said. Having two of the sport's biggest teams playing the first Major League Baseball (MLB) regular-season games in Europe would be massive for baseball's exposure and growth in the United Kingdom, said Liam Carroll, Great Britain national team head coach. Retired NFL defensive lineman Don Davey was part of the Viktre Challenge, which raised more than $105,000 in Puerto Rico relief efforts.